It's never been so easy to stay connected whilst abroad. 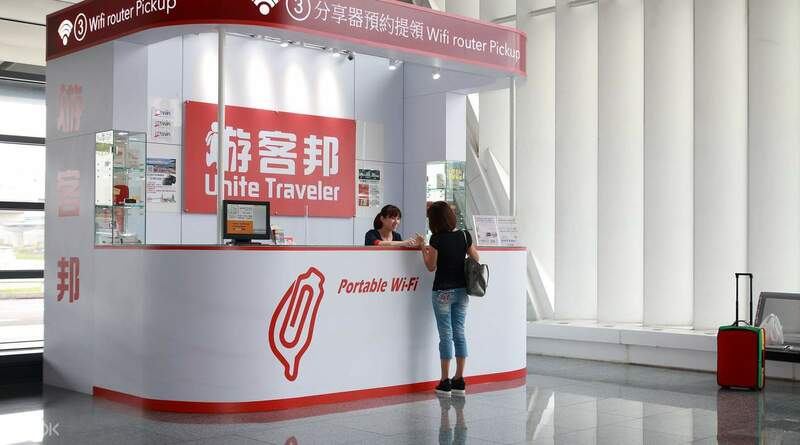 With an easy pick up and drop off service at Taipei Taoyuan or Songshan International Airports, or Kaohsiung International Airport, you'll enjoy unlimited 4G WiFi access throughout your stay in Taiwan, with coverage over 99% of the island. 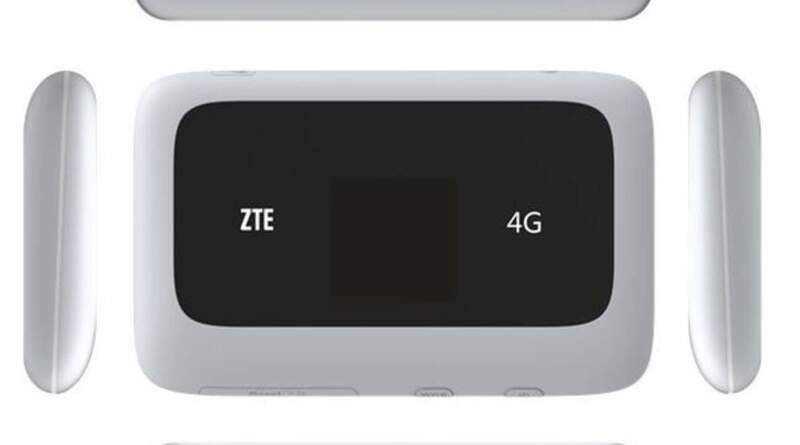 The ultra-speedy Taiwan 4G pocket WiFi device connects up to five different phones, laptops and tablets at once and supports up to 6 hours of surfing on one battery charge. So add some spontaneity to your travels with the ability to plan on the go and keep in touch with friends and family wherever you are. 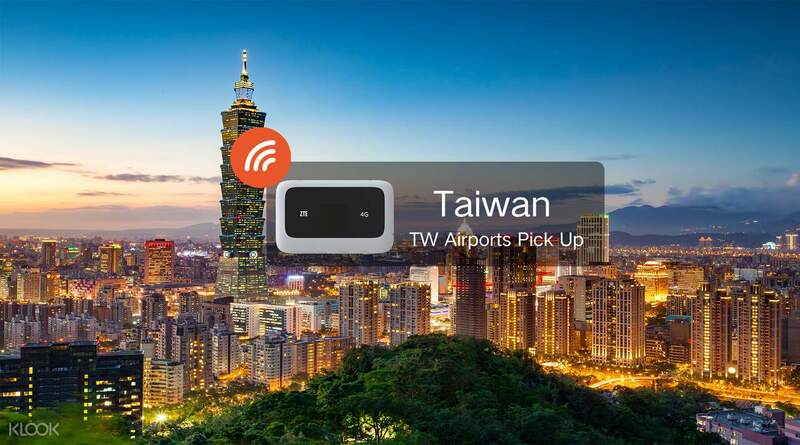 Avail of the pocket WiFi rental in Taiwan from Klook! Easy collection but I think the counter changed to the other side. You should update it! Made me walk to and fro. The device I was given has very weak battery life. I had to charge it every 3 hours or so. The last time I went Japan that device can last me half a day! Easy collection but I think the counter changed to the other side. You should update it! Made me walk to and fro. The device I was given has very weak battery life. I had to charge it every 3 hours or so. The last time I went Japan that device can last me half a day! This pocket wifi made our life easier in Taiwan. The speed is very reliable and it has a long lasting battery life. No capping also for the data. I recommend every traveler booking this.Thanks Klook for such awesome deals! This pocket wifi made our life easier in Taiwan. The speed is very reliable and it has a long lasting battery life. No capping also for the data. I recommend every traveler booking this.Thanks Klook for such awesome deals! Got a smooth transaction in getting and returning the wifi. Also, claimed Fun Pass at the same counter without problem. Very useful all throughout our travel. Strong signal anywhere. Highly recommended. Got a smooth transaction in getting and returning the wifi. Also, claimed Fun Pass at the same counter without problem. Very useful all throughout our travel. Strong signal anywhere. Highly recommended. It was very easy to pick up the device and the staff was nice. Connection was good for the most part of our trip. We just lost signal while in the middle of Taroko Gorge. Still it was very helpful having the device since it made our navigation easier and our roaming around enjoyable. Thanks Klook! It was very easy to pick up the device and the staff was nice. Connection was good for the most part of our trip. We just lost signal while in the middle of Taroko Gorge. Still it was very helpful having the device since it made our navigation easier and our roaming around enjoyable. Thanks Klook! people in the booth are very accommodating. no need to pay cash as a deposit. they explained very well the device and rules. good job on this one! ps. we were able to find these spots (photo below) in town because of the connection we were able to use google maps! people in the booth are very accommodating. no need to pay cash as a deposit. they explained very well the device and rules. good job on this one! ps. we were able to find these spots (photo below) in town because of the connection we were able to use google maps! Having a strong and reliable internet connection using 4G WIFI makes your travel easy ! Connection is really stable so with that you can easily search for tourist spot destinations, look for places to eat and keep you updated on your social media accounts! It is very cheap and worth it ! It's been a great experience for Non-Taiwanese travelers like us !Thank you KLOOK for providing a big discount for a traveler and a very convenient application ! Having a strong and reliable internet connection using 4G WIFI makes your travel easy ! Connection is really stable so with that you can easily search for tourist spot destinations, look for places to eat and keep you updated on your social media accounts! It is very cheap and worth it ! It's been a great experience for Non-Taiwanese travelers like us !Thank you KLOOK for providing a big discount for a traveler and a very convenient application ! seamless connection!! Booking this thing on klook is the best decision I've ever made! This is a must have when travelling and it helped us a lot while roaming around the city. From directions to searching on which restaurants to dine, you can never go wrong with this. You can also easily spot the pick up counter located at the arrival hall. Wish it could have a better battery life but you just gotta bring a power bank if you intend to use it the whole day. Thanks klook! seamless connection!! Booking this thing on klook is the best decision I've ever made! This is a must have when travelling and it helped us a lot while roaming around the city. From directions to searching on which restaurants to dine, you can never go wrong with this. 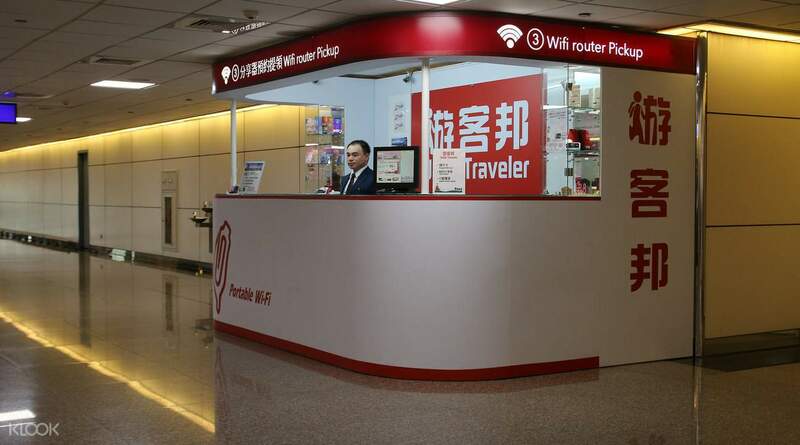 You can also easily spot the pick up counter located at the arrival hall. Wish it could have a better battery life but you just gotta bring a power bank if you intend to use it the whole day. Thanks klook! The pick up of the WIFI gadget is hassle free. It is easy to use. Our travel in Taipei was convenient because were connected to the net all the time. I am always connected with my family and loved ones in Manila. Returning of the gadget is also convenient and hassle free. The pick up of the WIFI gadget is hassle free. It is easy to use. Our travel in Taipei was convenient because were connected to the net all the time. I am always connected with my family and loved ones in Manila. Returning of the gadget is also convenient and hassle free. Q: Do I need to pay a deposit for the WiFi router? Q: What is the telecom supplier of this router? Q: If I don't own a credit card, can I pay for any additional fees in cash?